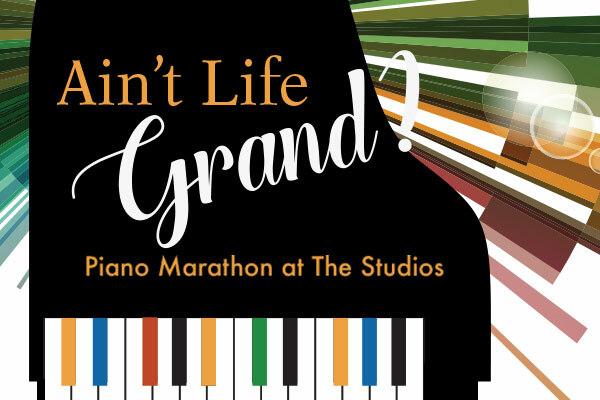 On Sunday, March 17, 2019, enjoy an afternoon and evening of continuous piano music, courtesy of the fingers of eighteen pianists from Key West. This Piano Marathon benefits Hugh’s View, The Studios rooftop visual and performing space opening to the public in 2020. A full lineup of jazz, blues, classical, gospel, show tunes, standards, new music + an Irish tune or two (because it is St. Patrick’s Day, after all!) Plus delicious snacks, beer, wine and cocktails available for purchase! One $20 admission gets you in and out all day. Come for an hour or two, return later or as often as you like, or stay all day and night. Pianists change out every half an hour, so grab a seat, a drink, something to eat and enjoy the music. All pianists have donated their time. All proceeds benefit Hugh’s View. Sponsored by Fantasy Fest King Larry Blackburn.